Purex Crystals ScentSplash is the next evolution in laundry in-wash fragrance boosters. Refreshing scent beads release a burst of fragrance. The result is a lovely freshness that lasts. Safe for all wash fabrics, the new Liquid Crystals can be used in the washer or in-wash tray. Recently I've been using the Purex Crystals ScentSplash on my workout tshirts. Whether doing down dog or running an extra mile, my shirts smell fresh and clean. Even with my sweaty self, I don't have to worry about offending others with my stinky gym clothes. The Purex Crystals ScentSplash is subtle and not overpowering. Personally, I like the fresh waters scent, which is refreshing and not overly floral. 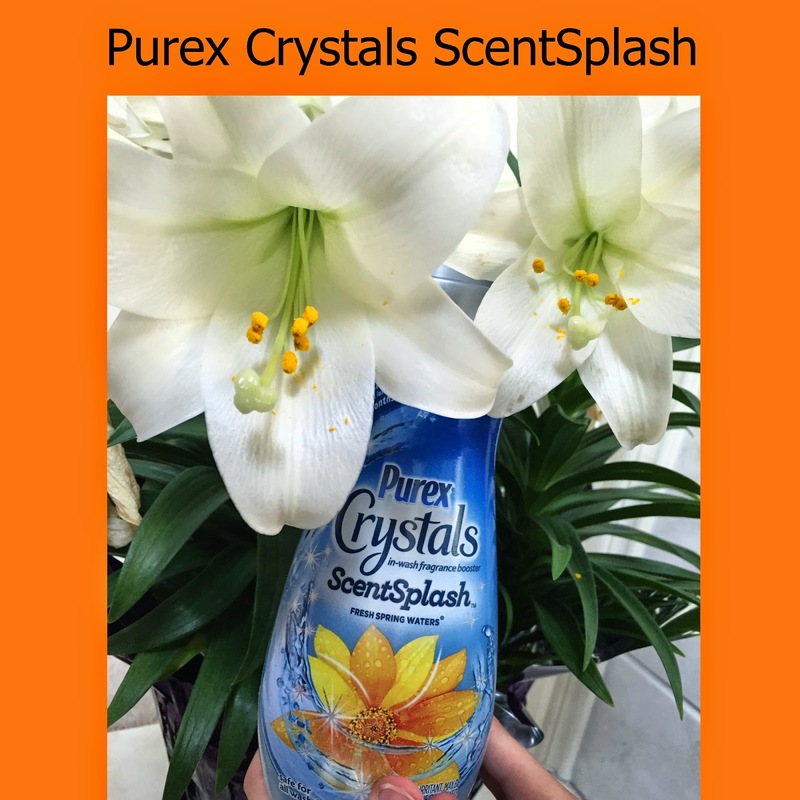 Purex Crystals Scent Splash is available at a variety of retailers. Would you like to try Purex Crystals Scent Splash for yourself? Please use the Rafflecopter to enter. From well worn gym clothes to the boys stinky shorts, keep all your laundry fresh with Purex Crystals Scent Splash. Disclosure: The review received this item for purposes of this post. All opinions are her own.